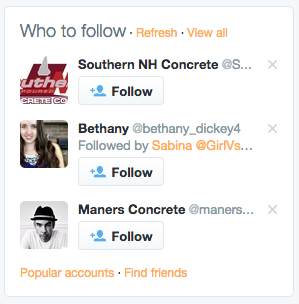 Acquiring new Twitter followers is one of those great mysteries that seems impossible to crack. Around the blogging circles, I always hear “I really need to work on my Twitter following” or “It’s so tough to build followers”. I too had the same thoughts running through my mind as I was ramping up. Growing at 100-200 followers a month was great and all but at that rate, I calculated that 3 and a half years to get to 10k followers. That was completely unacceptable and so I started to ask some of my social media guru friends and that’s what ended sparking my hockey stick growth. 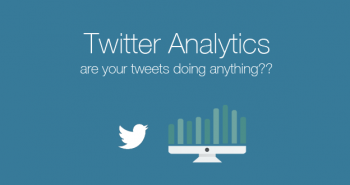 In a previous toolkit post, I introduced Twitter Analytics, a new tool for analyzing how we’ll you’re doing on Twitter. If you’ve read it then you’ve no doubt seen the follow section. 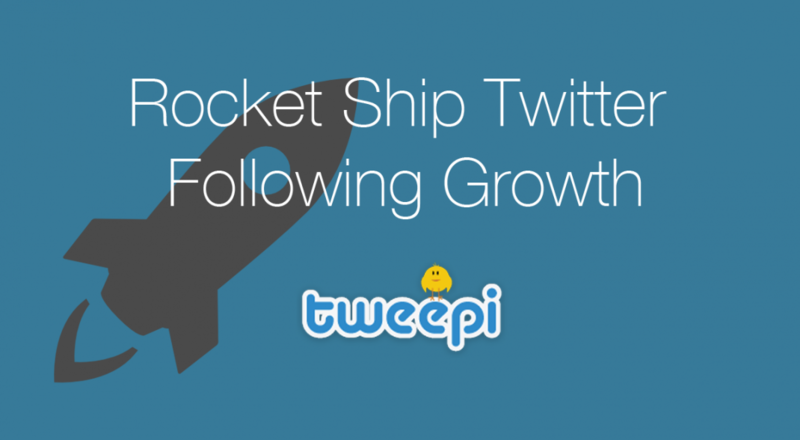 I know many of you are eager to find out how I went a turtle’s pace growth to complete blast off in terms of Twitter following. The way to do it is actually quite simple as you’ll see below. Got you hooked yet? It’s annoying but sadly brands and sponsors still place a heavy emphasis on following as a gauge of influence. What sparked this was when two things happened in the same week. I know you know my frustration. Let that be the fuel that propels your rocket ship! As a disclaimer to everything I talk about below, I’ll admit that it’s “gray hat” but honestly that’s what growth hacking is all about. Once I explain it, this is going to seem like the most obvious thing ever. 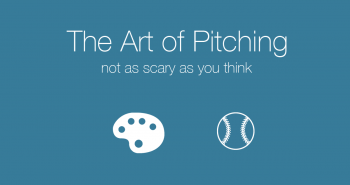 It’s also likely that you’re already doing this in some form or another. You just didn’t know it. What you’ll realize with Twitter is that the behaviour on the platform is extremely reciprocal. You retweet someone – they thank you. You favorite something of theirs – they favorite something of yours. You follow them – they follow you back. Everyone wants to be followed and Twitter makes it extremely to follow back. Everyone wants to be friends right?? I know the counter argument here is that you want to build quality followers because it’s those “real” readers of your blog that you want to attract. Quality of your followers is important of course and that’s why you need to be targeted. So you see, you’re already doing this right now whether you realize it or not. Someone follows you then leads to “Oh look it’s another travel blogger, lets follow them back”. Take that a step further, I know you’ve been following those suggested Twitter users on the right hand side or down below. I’m sure the light bulb has gone off before where you realize it makes a helluva lot of sense to follow other travel bloggers and travel lovers because they’re the ones that care about travel content the most and will most likely click through to your blog. The next question from this is then, okay targeting is great and all but who exactly? Well this is where the experimentation comes into play. Here are a few things that’ll give you some food for thought. If there’s another travel blogger you admire, it probably means something that they follow who they follow. 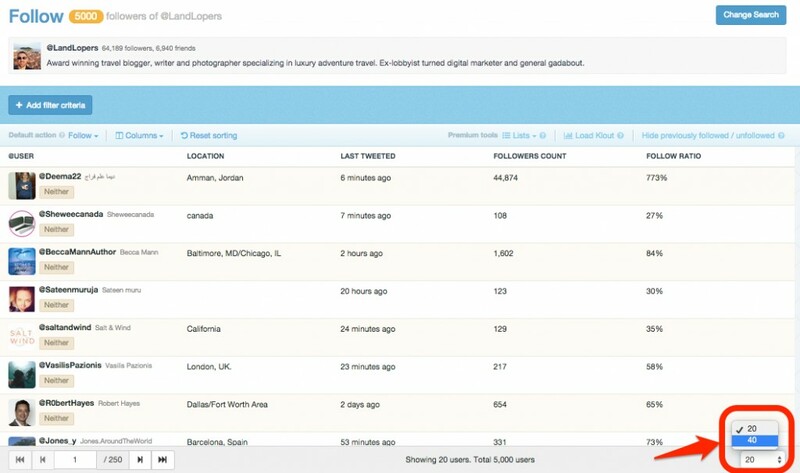 Oh gosh a lot of people interested in travel seem to use the #travel and #ttot hashtag quite a bit. Travel blogger XYZ has a lot of followers, I wonder who they are. The gist of all that above is, if your niche is in say “backpacking”, then who another fellow backpacking blogger follows and their followers might be good targets. Hashtags could be another way of going about it too. Lesson 1: It’s the whole nature of Twitter. Follow someone, and you have a chance they’ll follow you back. Lesson 2: To increase your chances, target specific user groups that care about what you’re writing about. In our case, it’s travel. 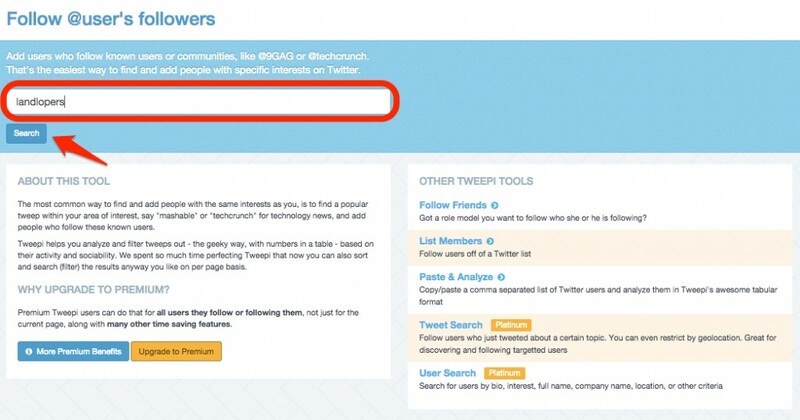 Lesson 3: Target Twitter users that your favorite bloggers follow, who follow them and find users that often use travel related hashtags. Great but how the heck is that scalable? This is where I introduce to you the ultimate tool. Introducing Tweepi. It’s up there with other strange startup names but once you see how it works, you’ll begin to understand how bloggers like I and others (you know who you are) are taking advantage of the key breakthrough insight – that is “people love to followback”. 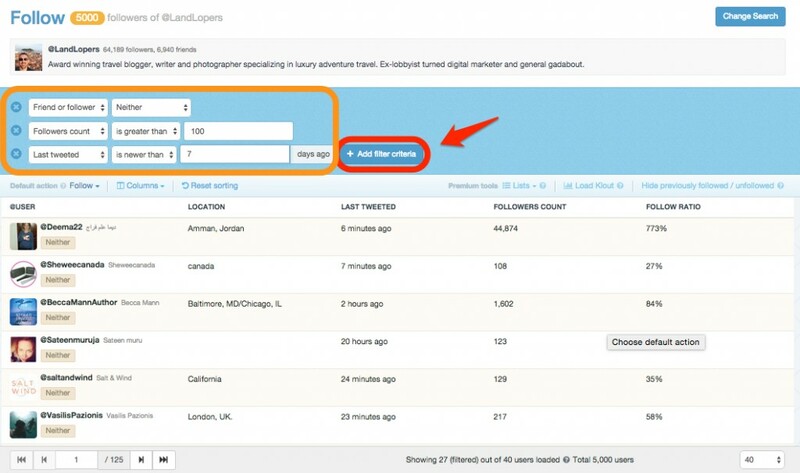 Creating an account with Tweepi is a cinch. Just make sure you’re logged into Twitter and simply click on Sign Up and make sure you scroll down to the hidden section below for free access. After that, all you have to do is authorize Tweepi to connect to Twitter and then you’re all set. Signing up for Tweepi’s free tier. Connecting to your Twitter account. One thing I’ll say about Tweepi is that it isn’t the prettiest but I appreciate how simple and to the point it is. 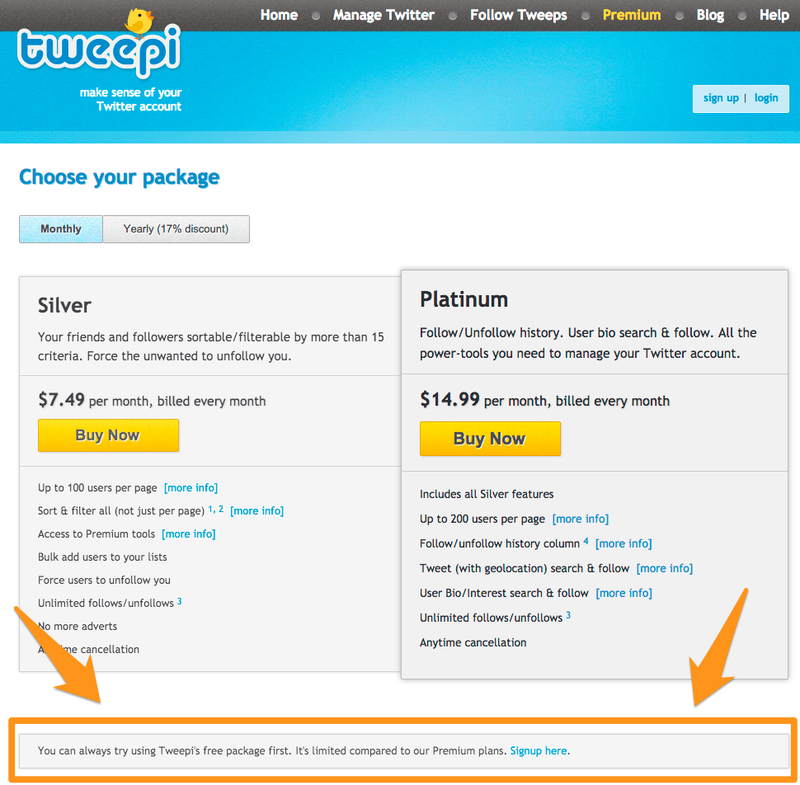 There are really only 7 different things you can do in Tweepi as a free user. Tweepi recently updated their UI so all the screenshots are for the new interface which is considerably cleaned up. Depending what you feel like, you can decide to follow the followers of someone you look up to (someone that has more followers than you and is in your niche) [Follow followers] or the friends of that someone [Follow friends]. From my experimentation, Follow Followers gives you targeted list of users that are primed to follow back. The list of followers is typically a lot bigger than friends. Whether you decide to Follower Followers or Follow Friends, you’ll be taken to a page where you type in the handle (@) of the person you want to copy. So let’s say I’m really interested in adding the followers of Landlopers. All I have to do is type in @landlopers like below. When done, click on “Search”. By default, you only get to see 20 rows per page. You can extend this to 40. All you have to do is tweet a message out and it’ll activate the 40 rows for a month. I highly recommend doing this as the more rows you have, the less pages you have to go through and thus speeding the process up. The best part about the latest interface is that filtering has become so incredibly easy. I recommend applying 3 filters. Filter for users that you have no relationship with. Make sure these Twitter accounts have at least 100 followers (the # itself is up to you). This is just a way to weed out users or bots that really haven’t done anything on Twitter and wouldn’t bring too much value. Filter for users that have tweeted in the past 7 days. This is something I started doing recently just to make sure the Twitter users I follow are active and thus are more likely to engage with you. You can also sort descending by the # of followers by just clicking on the Follower’s Count column header. Once you’re all set up, the next step is for you to go through as many pages as you wish and click like rapid fire. Tweepi is designed so that all you have to do is keep your cursor at the first position and the window will scroll down appropriately to the next row. The beauty of how the app is designed is that the page scrolls down as you click so all you have to do is click like machine gun rapid fire and you’ll be through an entire page in a matter of seconds. It’s up to you how aggressive you want to be in terms of how many users you want to follow a day/week. For me, I always have Tweepi active on my browser so I’ll follow 2-3 pages every of users once awhile during the day. Keep in mind that Twitter has max limits on how many people you can follow. The max limit depends on how many followers you have. Also note that aggressively follow a lot of users every day will cause your account to be locked. All this means is that you will have to change your password. I try not to let this happen as it is a bit annoying to have to swap passwords all the time. The other critical part of Tweepi is being able to unfollow folks that don’t follow you back. This is the engine that allows you to continuously add new followers. The key is to unfollow people that you’ve given a good amount of time to follow you back. The page works in a similar way to following new users and will allow you to rapid click to go through lots of pages in no time. What you have to understand is that Tweepi sorts the pages that you see in “Not following back” by most recently followed. That means, users you see on Page 1 are those that you just followed. Therefore, you want to start unfollowing folks towards the last few pages. Knowing that, let’s say you have 75 pages of people that don’t follow you, start unfollowing at page 60 an onwards. 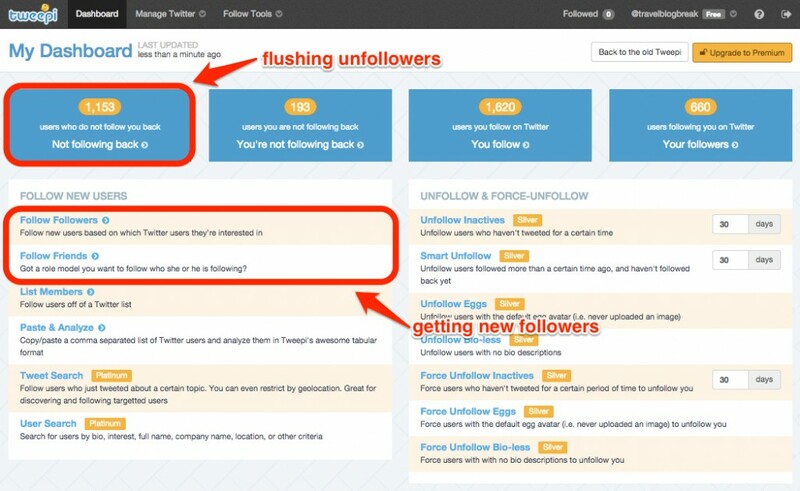 Flushing will seem like a scary thing to do because there are always Twitter users that you know will likely never follow you back but you want to keep them in your list. That’s where safe listing comes into play. Click on the lock icon to safe list a user. When you first start using Tweepi, you’re going to have to aware of who you want to safe list when you flush. When you encounter such user such as @NatGeo or @nomadicmatt, just click on the lock button to safelist them. This is what a safe listed user looks like. What this means is that in the future, even if you accidentally hit “Unfollow”, Tweepi will know not to unfollow them. That’s a nice safety feature so you can comfortable rapid fire at will. Once you do this a a lot, you’ll get to the point where everyone on your last few pages are all safe listed users. Rinse and repeat. My recommendation is to experiment with what works for your target audience. Think about: Is there a better time of day to be doing this? Should I follow friends or followers? What filters should I use? Should I try this on a user that has mega followingor someone with a modest growing following (@goawesomeplaces)? Consistency is key. Having a daily schedule for this is the best way to go in order to propel that growth higher and higher. This has paid off in dividends. Just look at to incremental jump in followers for me since I started this strategy. In two months, I’ve grown by 4170 followers. There’s a bazillion tools out there for this. I actually started with JustUnfollow which I still use for Instagram but what makes Tweepi so awesome is that the free tier gives you everything you need without any limits. Unlike JustUnfollow which only allows you to follow and unfollow 50 a day, Tweepi allows you to do this to your hearts content. If there’s a better tool out there for this type of growth hack, do let me know! Hopefully I haven’t given away too many blogging secrets in this one post but this is pretty much been the recipe I’ve followed to go from 100 new followers a month to 1000. Mind blown right? Ready to learn more? I encourage you to read more from the Travel Blogger’s Toolkit series. How do you set up the direct message to Thank someone once they have followed you? Like others that I have seen I would like to increase my facebook likes and followers and this looks like a great way to do it also. Hey Pete, check out a tool called JustUnfollow. 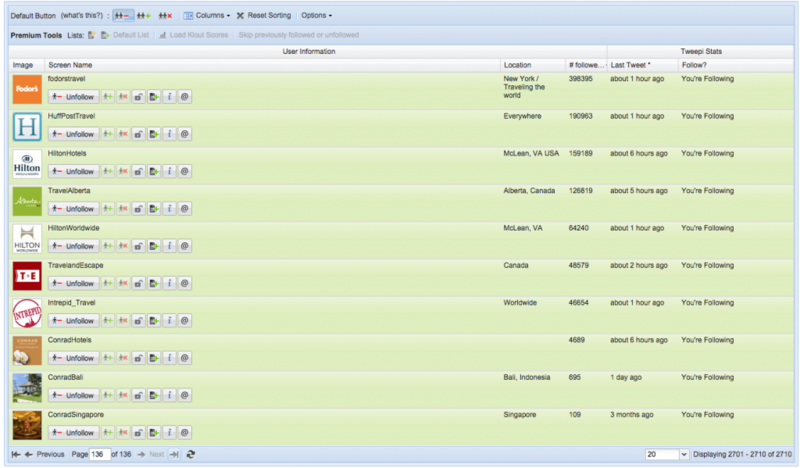 It’s the easiest tool I’ve found to set up auto responders like the one I have. It does add @justunfollow at the end but I think that’s fine. It’s not the prettiest solution and could get annoying for some but the bottom line is that it does drive results. Awesome thanks Will, I will jump on that and see how I go. I have used a couple of your suggested plugins and love them, the comment luv and the one lazy loader (can’t remember the name). Thanks for all the useful tips and tricks, as a novice blogger I am finding them invaluable so far. Look forward to utilizing many more as you share them. Merry Christmas mate, and a happy new year! YES! Mission accomplished 🙂 Glad I was able to help! Definitely stay tuned for even more awesome content in the new year. Happy Holidays!! Hey Dorene, great to hear from you!! How are things going on the road? Let me know how the progress goes for you in terms of using Tweepi. What a great post and explained so clearly. We are stagnating around 8K followers so I will give a try to Tweepi. Thank you for your tips! Great post and podcast, I’m pretty much doing a lot of this already and I’m happy with the results on Twitter and Instagram @shanestravels ! Thanks so much for listening and reading Shane. Keep up the awesome work. You’re rising up fast! Hey Will, need to update this… no more flushing on Tweepi since last December! Hey Lee, thanks for stopping by the blog! Yes you’re absolutely right. Twitter unfortunately dictates the rules of their platform and they eventually put a stop to what Tweepi was allowing. I will definitely have to update this post at some point with new strategies. There are ways around it with Tweepi but it’s more tedious and less obvious with the way they’ve laid it out.